Described as an “impressive talent” by All About Jazz, Ben Rosenblum is a jazz pianist, accordionist and composer based in New York City, and a recent graduate of the joint program between Columbia University and Juilliard School of Music. His work has garnered numerous awards, including the ASCAP Young Jazz Composers Award and two Downbeat Student Music Awards for composition and arrangement. Ben was a finalist at the 2015 American Jazz Pianist Competition in Melbourne, Florida, and at the 2016 Jacksonville Jazz Piano Competition in Jacksonville, Florida. He has played with the Bachiana Brasileira Orchestra at Lincoln Center (conducted by Joao Carlos Martins and featuring Dave Brubeck), as well as in Delhi, India, and at the Masten Jazz Festival (Buffalo), Richmond Jazz Festival (Richmond), Mid-Atlantic Jazz Festival (Maryland) and Lincoln Center Out of Doors Festival (Manhattan). He has also performed at Carnegie Hall, Dizzy’s Club Coca-Cola, the Allen Room at Lincoln Center, Ryles Jazz Club, Webster Hall, Symphony Space, The Blue Note and a host of other locations throughout the northeast. Ben has worked extensively with such jazz luminaries as Curtis Lundy, Neal Smith, Winard Harper, Wayne Escoffery and Deborah Davis, and he has shared the stage with Houston Person, Dave Stryker, Steve Nelson, TS Monk and many others. Ben is currently celebrating the release of his debut album, entitled Instead. The album has been released to critical acclaim, including 4 stars from Downbeat Magazine. Opening in Charles Berthoud! 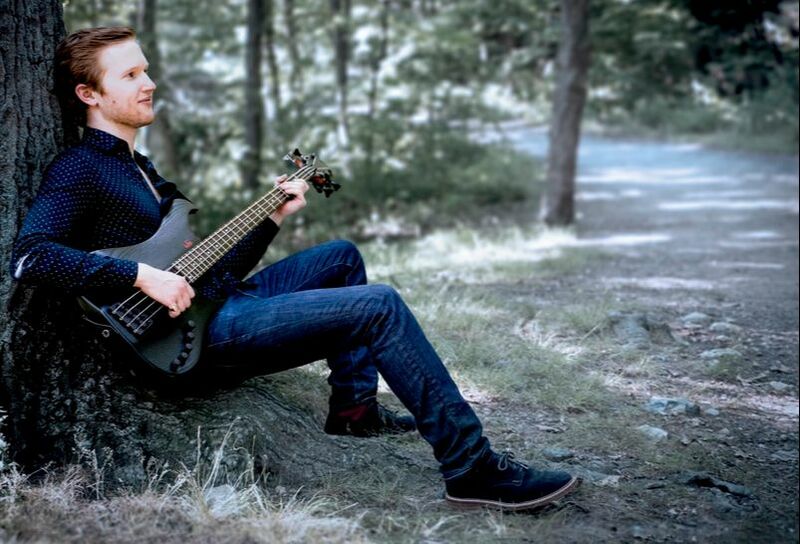 ​British bassist, Berthoud (pronounced BEAR-too), is changing the way we think about the bass guitar. Already being recognized as one of the masters of the two-handed tapping technique, he plays the bass like a piano, accompanying himself with multiple parts. A classically trained pianist and muiti-instrumentalist, Charles uses contemporary guitar techniques to play astonishingly fast, almost flamenco-like passages. Words don’t do it justice, as it truly needs to be seen to believe. In 2011, Charles was working as a baggage handler at an airport near his suburban London home, attending university as a physics major by day and dreaming of coming to America to make music by night. Soon thereafter, he was accepted into the prestigious Berklee College of Music in Boston, and off he went to study with the best musicians in the world. There, Charles was introduced to the two-handed tapping technique that would come to define much of his music. He even co-authored an instructional book, Two-Handed Tapping, before graduating with highest honors. After touring and recording as a sideman on a dozen records and tours, Charles has performed at prestigious venues in all four corners of the United States. Whether on bass guitar, piccolo bass or piano, audiences are captivated by his music, and amazed by his world-class virtuosity. Now, he has two extraordinary solo albums under his belt, reminding listeners that there are still new frontiers to be explored in popular music. If Charles Berthoud is the one to chart this new territory, then music lovers are in good hands.